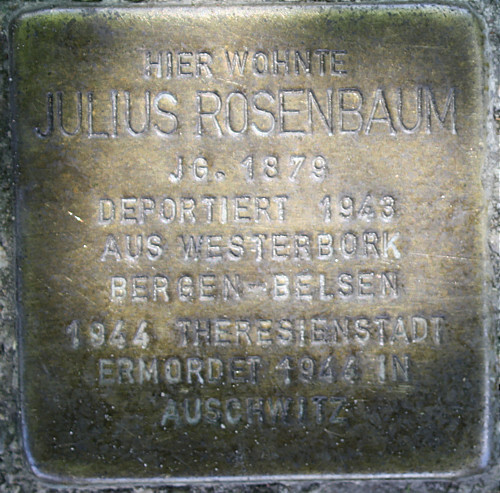 Julius Rosenbaum (1879 - 1944) was married, in a second marriage, to Erna Rosenbaum, née Meyersohn (1892 - 1944) and lived at Richterstraße 57 (today Karl-Marx-Straße). Julius was a retired teacher and cantor of the synagogue in Frankfurt. In 1939 the couple emigrated to the Netherlands and because of their emigration they were one year later declared stateless. In 1943 they were taken from Westerbork Concentration Camp to Bergen-Belsen. In January 1944 they were deported to Theresienstadt and from here they were sent to Auschwitz in October 1944. 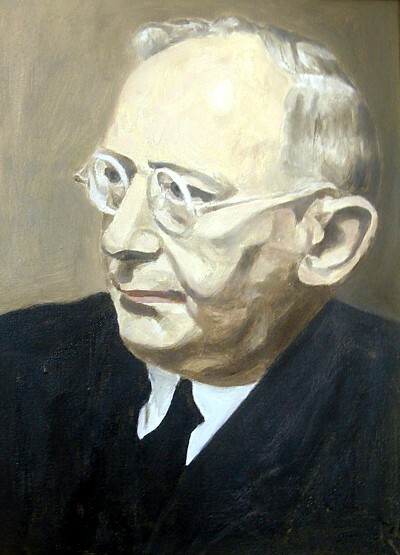 Dr. Martin Salomonski (1881 - 1944) grew up in Berlin. After studying at the universities in Berlin and Tübingen, as well as at the Berlin Higher Institute for Jewish Studies, he was a rabbi in Frankfurt from 1910. During the First World War he served as an army rabbi. In 1925 he returned to Berlin and from then on acted as a rabbi to the liberal community. He was committed to the social and cultural concerns of the Berlin Jewish community, and in the Nazi era tried to secure Jewish facilities through fund raising. Dr. Martin Salomonski had six children. 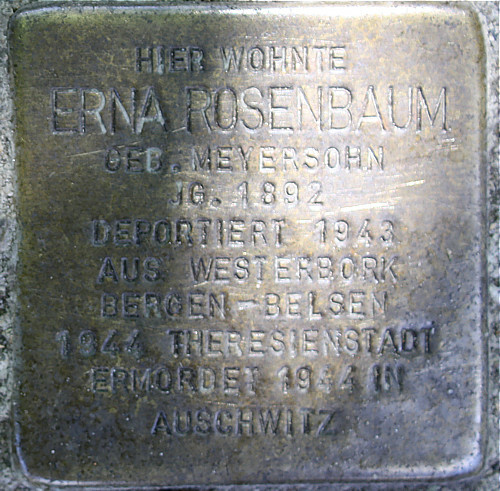 On 19.06.2010 he was deported with two of his children, Adolf Fritz and Rith Miriam to the Theresienstadt Ghetto. There he also acted as a preacher and teacher, before he was deported to Auschwitz on 16.10.1944 and killed there. His children Adolf Fritz and Rith Miriam were also murdered by the National Socialists. The other four daughters managed to survive in exile.